Paint ball games are exciting and they can lead to a great deal of fun. What does this do for the paintball enthusiast? Question is, what doesn’t it do for the paintball enthusiast? If you are looking for excitement, then you will find it! Also, with these types of games, you will learn how to think strategically. It can also be a good way to unwind after a long day. You will find different leasing deals. You should pick the package deal that best suits your situation. One thing you need to keep in mind is the fact that, no what you select, you are almost assured to have a great time. Color paint ball games are fun plus they educate folks how to feel. It is an severe activity due to the level of fun that may be had although playing paintball. adventure and Fun is never far away if you decide to play a game title of paintball together with your friends. This is the type of activity in which all of us have the best time. The positive aspect of Splatball is the fact we have been focused on you and making sure that you have a good time. 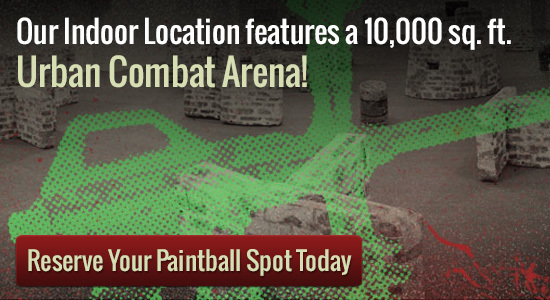 Anybody who wants fresh paint ball games would prosper to take into consideration this provider. The enjoyment is rarely far! Among the great things about Splatball is that we offer you a wide selection of independence. Want a paintball bday bash? No issue! All you have to do is call and say you’re trying to find a excellent time. We have locations in Minneapolis and encircling metro places, Splatball functions an indoor paintball park that can shade your community. Employees associates listed below are knowledgeable and they also know what must be done for individuals to have a good time with paintball. Both private play and walk-on play are available at Splatball. If you are looking for private group play the minimum group size is 8 players and reservations must be made in advance. Spots fill up fast, so make sure to book at least a week in advance. Make sure you call Splatball at 612-378-0385at least one week in advanced to make reservations.